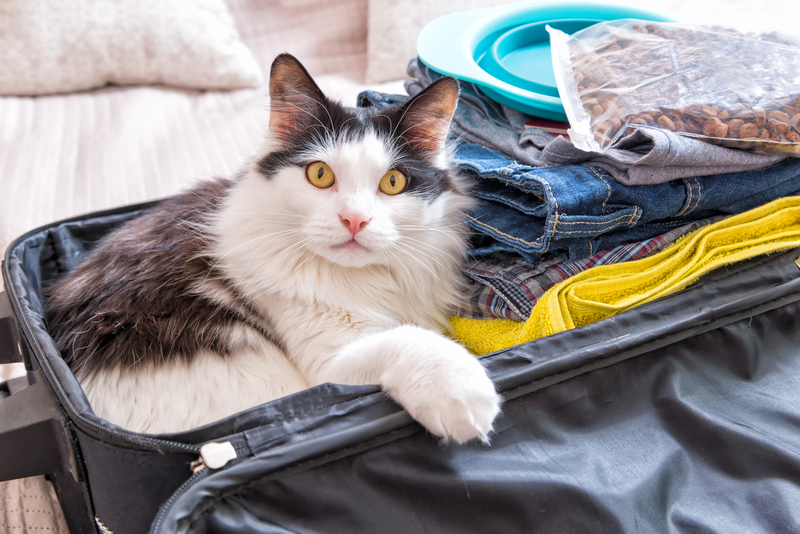 Pet owners know that traveling means being separated from their furry friends… Right? Well, not exactly. The New Yorker Hotel happily welcomes cats and dogs, so you can spend as much time as you want cuddling with your furry friend. But what if you want to give your four-legged friend a tour of New York City? Public transport in New York allows pets in a carrier to travel and so do most taxi drivers. Here’s the lowdown on everything you can do with your pet in New York. A great bonus of traveling with your pet is that you’ll be driven to places where locals hang out with their own pets. Although these places focus on dogs, call in advance and ask if you can bring your cat on a leash. This is a place for humans and dogs to indulge in some comfort food-you can have a burger, hot dog or frozen custard, while your dog can munch on some dog biscuits. Late spring and summer are the best times to visit. Have full meals or a few cocktails while your dog drinks from and plays in the watering fountains of this Upper East Side restaurant. The menu is American food with a sophisticated twist kindly provided by their chef. You can go to Sidewalk with your friends, furry and not-so-furry. It’s divided into a restaurant, a bar and a stage. Sit outside with your dog during daytime and come back when the sun goes down to experience East Village’s nightlife. 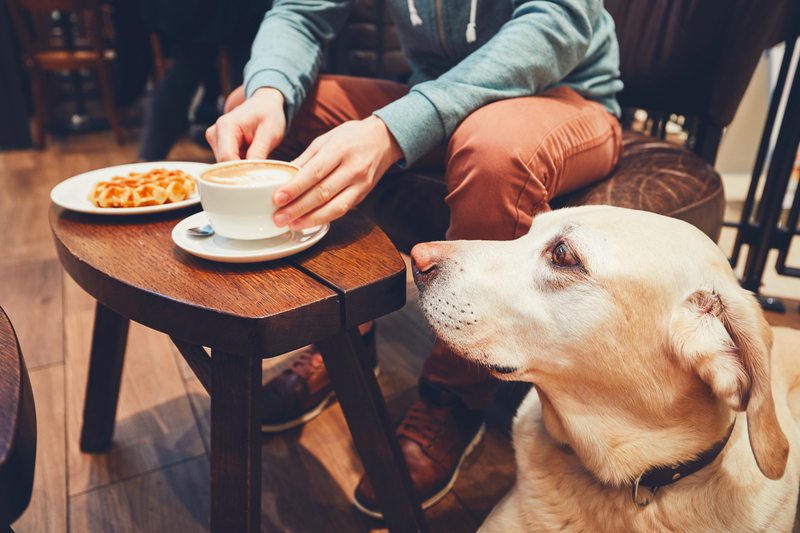 Dog-friendly and vegan-friendly, this café serves steaming tea, creamy coffee and baked goods. Easter Village is a hip neighborhood where you’ll always find hidden gems, but this is THE neighborhood coffee shop. 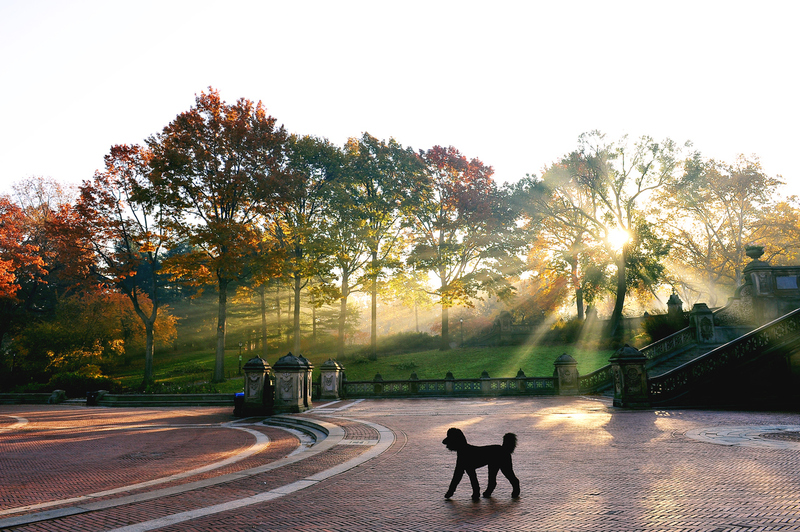 Whether you want to go for a morning run or a night time stroll, New York City has parks and dog-specific areas for canine fun. Make sure you bring a leash! Although most of Central Park is dog-friendly, check the Dog Owner’s Guide to find specific information about enjoying the park with your dog. Plan your visit ahead of time to know everything about off-leash hours, dog-friendly fountains, restricted areas and rules dog owners must follow (trust us, you don’t want to be fined). A short walk from The New Yorker Hotel, Madison Square Park has a fenced Dog Run, where your dog can run free without a leash. Sine you’re probably going to the East Village, pay a visit to nearby Union Square Park where you’ll also find a Dog Run. With so much to do with your pet, there’s no reason they should be left behind. Check out our offers and book your pet-friendly room at The New Yorker Hotel today!